To help you with your search, browse the 2 reviews below for assisted living facilities in Coquille. On average, consumers rate assisted living in Coquille 3.0 out of 5 stars. Better rated regions include Bandon with an average rating of 3.6 out of 5 stars. Caring.com has helped thousands of families find high-quality senior care. 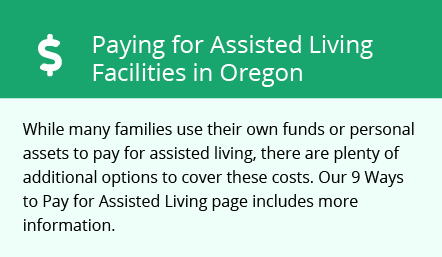 To speak with one of our Family Advisors about assisted living options and costs in Coquille, call (855) 863-8283. Coquille, Ore., population 3,800, is a small city located 20 miles from the Pacific Ocean. The Coquille River borders the city, which offers a Mediterranean climate ideal for seniors throughout the year with an average winter temperature of 56 degrees. Activities abound for more active seniors, while those who need a higher level of care can find facilities geared for them. Coos County, of which Coquille is the seat, is home to 12 assisted living facilities. The State of Oregon licenses all assisted living and residential care facilities. There is a wide variety of options, including private rooms, condos and larger communities. Coquille has no sales tax, but household income is lower than the U.S. average. The city's cost of living is slightly below the national average, which is good for seniors on a budget. Coquille has a 35 percent lower crime rate than the rest of Oregon, and violent crimes are 51 percent lower than the remainder of the state. Seniors can feel safe in Coquille. The city's community center offers roller skating, a swimming pool and a flea market. The A.J. Sherwood House, an example of Queen Anne architecture, is on the National Register of Historic Places and the Coquille Valley Museum highlights local history. The Sawdust Theatre operates throughout the summer months. The Coquille Public Library organizes city-wide reading groups. Coos County Area Transit offers dial-a-ride service within the city, and area residents use the Southwest Oregon Regional Airport for air service. A local taxi service is also available. While Oregon does not tax social security benefits, it does tax most other retirement benefits. There is a retirement credit for seniors with certain income restrictions. The Coquille area is home to world-class medical facilities, including Coquille Valley Hospital in the event of medical emergencies or illness. Assisted Living costs in Coquille start around $0 per month on average, while the nationwide average cost of assisted living is $4,000 per month, according to the latest figures from Genworth’s Cost of Care Survey. It’s important to note that assisted living rates in Coquille and the surrounding suburbs can vary widely based on factors such as location, the level of care needed, apartment size and the types of amenities offered at each community. The Oregon Health Plan (OHP) offers several programs that provide supplemental income that can be used for living expenses. OHP furnishes free medical, dental and mental health and addiction treatment for qualified residents. Coquille and the surrounding area are home to numerous government agencies and non-profit organizations offering help for seniors searching for or currently residing in an assisted living community. These organizations can also provide assistance in a number of other eldercare services such as geriatric care management, elder law advice, estate planning, finding home care and health and wellness programs. To see a list of free assisted living resources in Coquille, please visit our Assisted Living in Oregon page. Coquille-area assisted living communities must adhere to the comprehensive set of state laws and regulations that all assisted living communities in Oregon are required to follow. Visit our Assisted Living in Oregon page for more information about these laws.